This parts contains the sequences encoding for the colicin E2 DNase trypsin fragment BBa_K1976049 which can be obtained by trypsin digestion of colicin E2 and the immunity protein Im2 BBa_K1976026 both under the controle of anderson promoters. The DNase trypsin fragment of colicin E2 consists of 137 residues what conforms to about one third to colicin. We used only one of the three domains of colicin since the metabolic burdon would be significant smaller. This fragment differs to the part 50 in 5 additional amino acids since a trypsin digestion described in the literature leaded to this fragment. 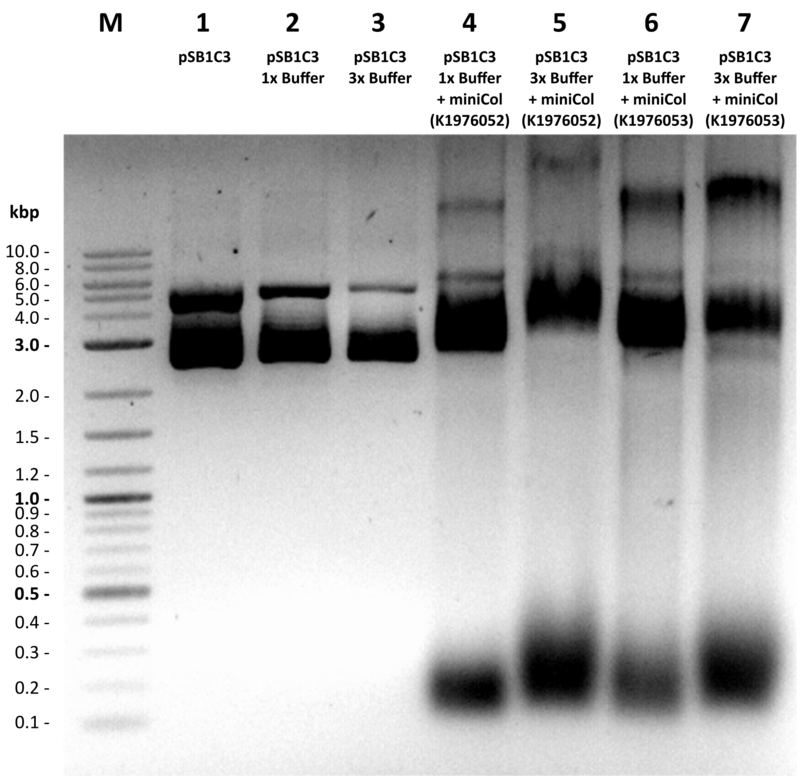 So we wanted to check out any difference in the activities between the DNase fragment with and without theese additional amino acids. The activity tests showed that the so called miniColicin has functional DNase activity. 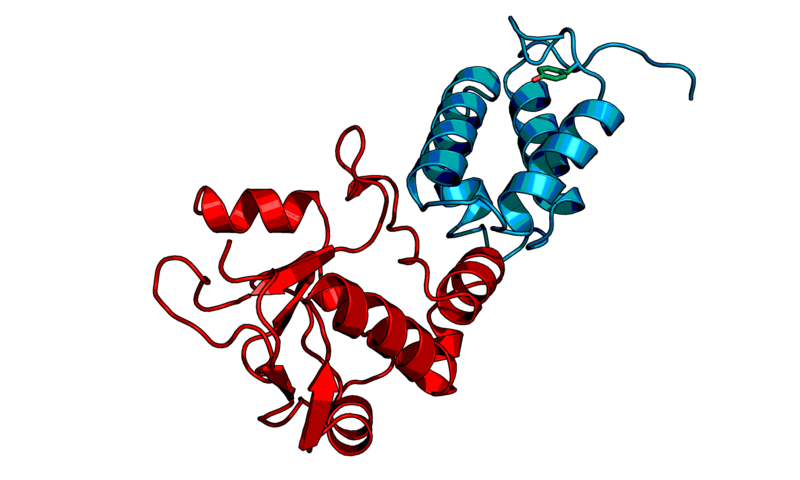 The immunity protein has a molecular weight of 10.0 kDa and the modeling of the binding to miniColicin predicted a very strong binding. 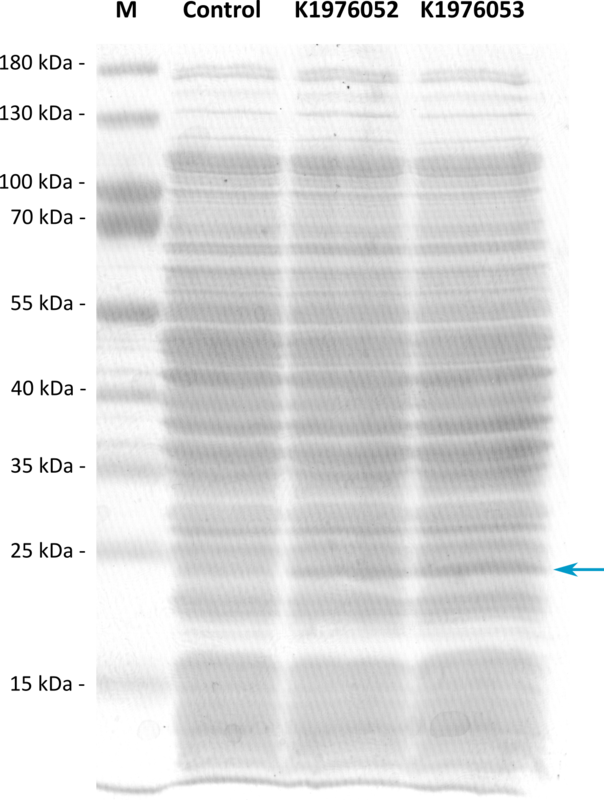 In figure 2 you can see our results of the expression of the DNasedomain.